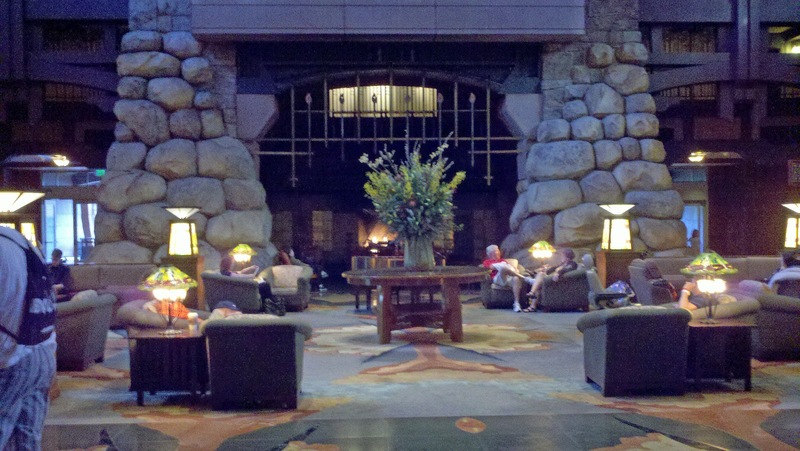 The adventure begins in the lobby, and one can instantly understand why AAA granted this hotel with the Four Diamond Award. 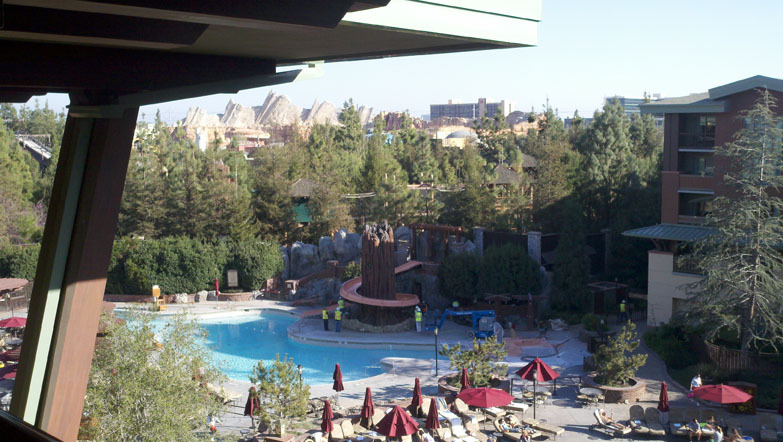 With warm, earthy tones and accents of stone and wood, the American Craftsman design of Disney’s Grand California Resort & Spa is instantly appealing. 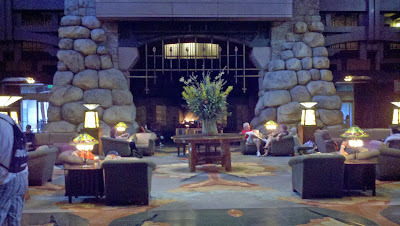 Giant overstuffed chairs are abundant throughout, and ample seating surrounds the vast stone hearth - especially inviting during the nightly storyteller hour. And storyteller hour is just the beginning. The resort has many special experiences (both free and fee-based) to please the whole family: outdoor Pilates (seasonal), an early morning power walk, hotel scavenger hunt, and special Build-A-Bear sessions are just a few of the unique activities available. Architectural design and/or California history buffs will want to make time to enjoy the free ‘Art of the Craft’ Tour. Tip: Visit the Guest Services desk upon check-in. They can give you a schedule of all the special activities happening on-site during your stay. More traditional luxuries are also abound: adults can relax and rejuvenate at Mandara Spa. A waterslide, multiple pools and private cabana rentals can help everyone work on an awesome Southern California tan. Need a break from the kids? Children ages 5 - 12 can be entertained at Pinocchio’s Workshop, the on-site daycare center licensed and maintained by the State of California. With all that free time, you can enjoy an elegant meal at the Napa Rose restaurant and lounge. 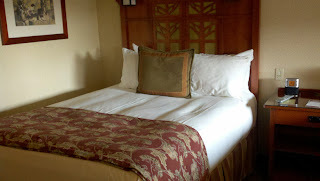 Tip: The Napa Rose at Grand Californian currently ranks #8 of all 272 restaurants in Anaheim, according to TripAdvisor. Perhaps the best perk is a special entrance into the Disney California Adventure theme park. Beat the lines and escape the crowds as you enter just beyond Grizzly Rapids. Have a resort-issued FastPass? You can use it to get special seating at the World of Color light show! Tip: Make a night of it! World of Color offers an array of dining packages, and even have a special viewing patio for guests to watch and dine. After all that fun, guests will find standard rooms that are comfortably-sized for a maximum of 5 people. Kids and parents will love that every room has a DVD player, and a collection of movies available for checkout at the front desk. For guests who prefer a little more space - or a lot more luxury - Artisan Suites and Club-Level (concierge) rooms are available. Concierge guests have access to the Craftsman’s Club Lounge, where they enjoy amenities such as daily continental breakfast, hosted wine/cheese/dessert receptions nightly, and a special viewing area for the fireworks show (on select nights). Tip: All guests have the option of adding Club Level service to their reservation. From stunning architectural design to intricate artistic details, unique activities for guests young and old, and (of course) hidden Mickeys, Disney’s Grand California Resort and Spa makes sure that everyone experiences a bit of the Disney magic. To book your next vacation or for more information, contact your local travel agent or visit the Disneyland website. Everyone experiences a bit of Disney magic!